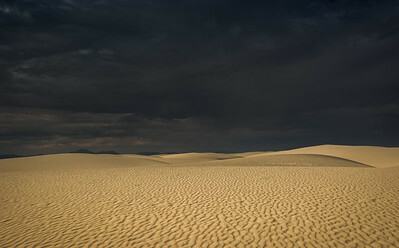 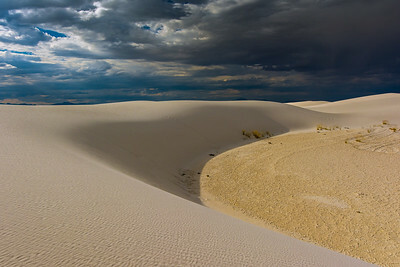 White Sands National Monument: Alkali Flat Trail. While hiking along the Alkali Flat Trail in White Sands, I found this late afternoon shadow formation of a secluded sand dune that had yet been trampled on by hikers footprints. 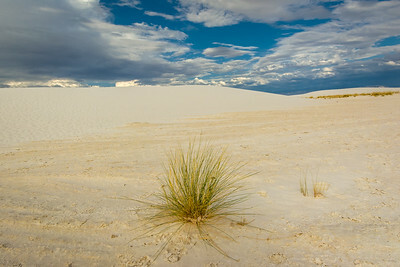 White Sands with Isolated plant. 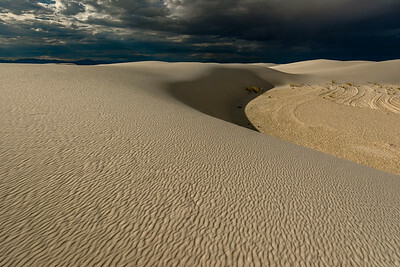 Late Afternoon in White Sands.